Our Italian family has been making Pesto & Pasta Sauce for generations as well as these traditional Italian Sun-Dried Tomatoes; voluptous, vine-ripened and dried in the Italian sunshine. Infused with a fragrant oregano, thyme and basil oil. Made in Italy by our Italian family. 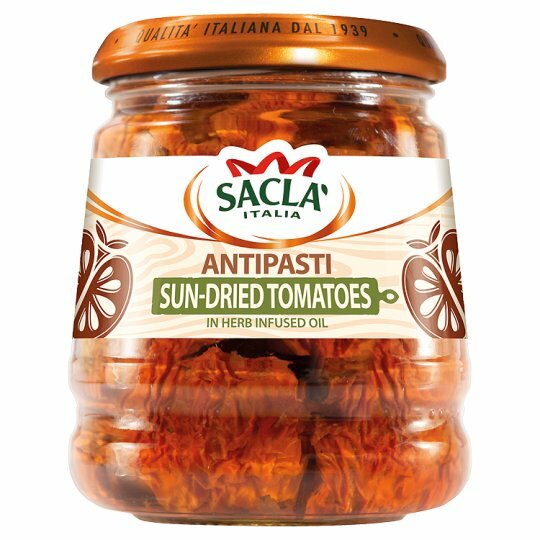 Serve them as an antipasti straight from the jar or snip them into casseroles, stews or your Bolognese - these tomatoes get on with everyone and everything. Keep in the fridge for 2 weeks after opening.